Anniversary Edition ’65 reissue Fender Twin Reverb. 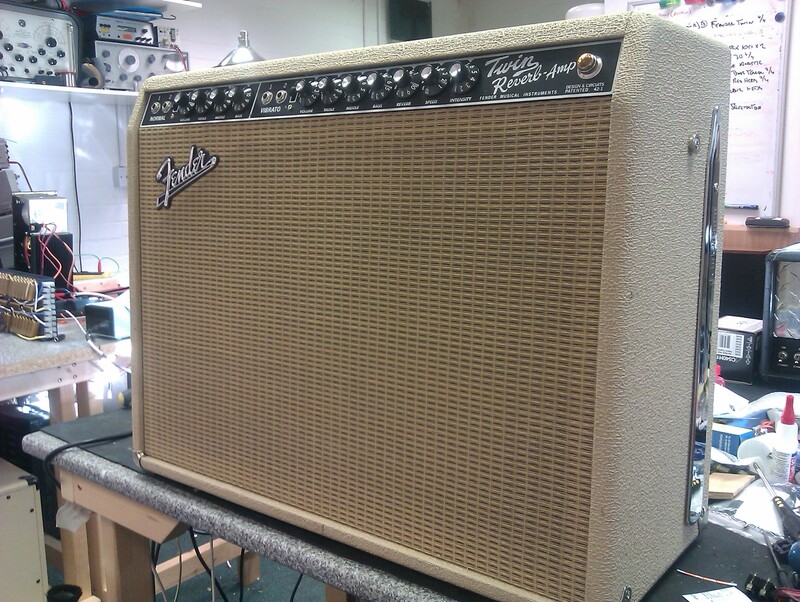 This incarnation of the classic ’65 Twin Reverb looks very cool in its blonde livery. To this day, wherever a clean punchy amp is needed the Twin Reverb remains peerless.